Star Wars fans, this may be the closest you’ll ever get to sitting in the cockpit of a starfighter. If you are 40 years old or younger, you have never known a world without Star Wars. For many of us, the stories of Luke Skywalker, Princess Leah, and Han Solo are a more important part of our collective history than Cinderella, Wonder Woman, and Nancy Drew combined. 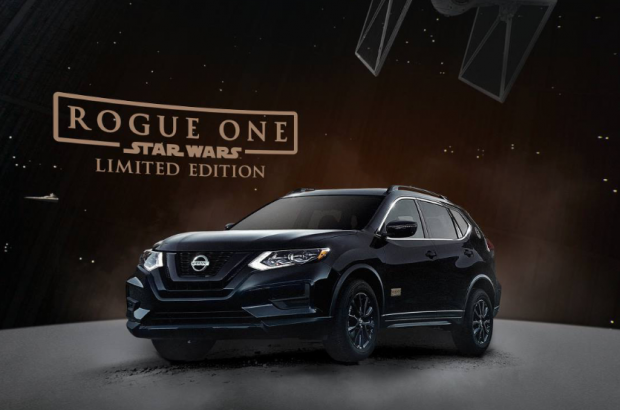 In a move to delight the truly committed Star Wars fans in the world, Nissan introduced the ultimate collectible at the LA Auto show this week: the extensively redesigned 2017 Nissan Rogue, available in a special Star Wars limited edition. 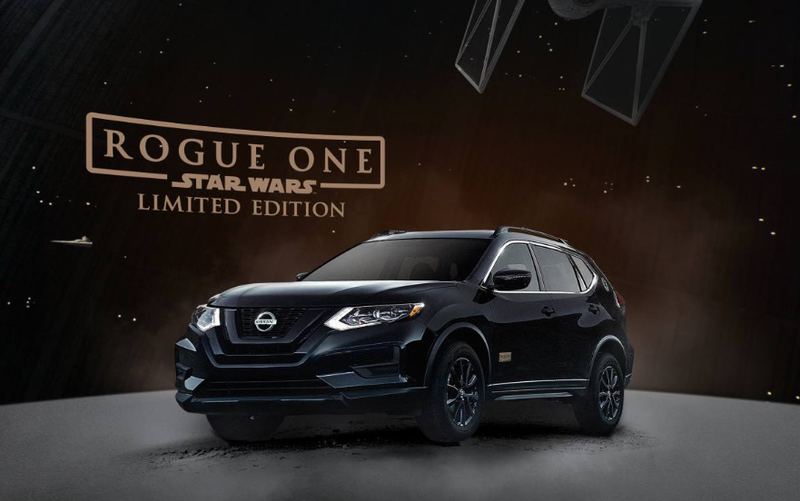 This Rogue One: Star Ward Edition from Nissan will cost $29,000, which is about $2000 more than a similarly-equipped Nissan Rogue sans Star Wars branding. And just to up the exclusiveness factor, each Star Wars limited edition Nissan Rogue with come with a custom designed, full-size replica of the Death Trooper helmet, worn in the upcoming movie. The Empire’s Death Troopers—an elite unit of Stormtroopers—make their first appearance in the movie Rogue One: A Star Wars Story. These helmets are numbered, and are available only with a purchase of the special edition Rogue. And they definitely look like the real deal! There’s magnetic blackout finish for you Darth Vader fans, and white w/black accents if you’re after the Stormtrooper look. Star Wars fans will immediately recognize the symbols of the rebel alliance and the evil galactic empire in the special cupholders, and tucked in other places on the interior and exterior. There are other fun little details, too–like the Star Wars illuminated kick plates (that’s the thing you step on to get in or out of the car), Star Wars logo carpeted floor mats and rear bumper. One major disappointment–you know what’s not included? No light sabres, no blasters. In fact, no weapons system at all! Oh well. I guess drivers have to follow Yoda’s ways, and learn to use the force, we will. Delivery begins early December, 2016, just in time for the release of the new movie Rogue One: A Star Wars Story. Interested buyers can go to the Nissan website to sign up to be notified when these start arriving at the Nissan dealerships. When they say limited edition, they mean it–Nissan is only building 5000 of these, and when they’re gone, that’s it. Unlike the Death Star, they will not be rebuilt.